Where Will SEO Go In 2015? Home More SEO Where Will SEO Go In 2015? SEO is nearly as old as the internet. It’s gone through all kinds of phases and trends and secret tricks – and finally it’s shaking out in a systematic process of keeping your site in front of new eyes regularly and holding onto more and more of those eyes. Importantly, SEO hasn’t been replaced by social media. It hasn’t given way in importance to any of the other things you can do on the Internet but it does include, now, lots of things like content marketing, and optimization for social media. For beginners, it’s basically still complicated. For website owners who’ve followed the field for some time, SEO makes more modest promises and may seem to move a lot slower, but it’s just as important for maintaining and growing your online presence. Let’s take a look at where Nett Solutions is going with our own SEO projects in 2015. You can’t trick Google with a ton of likes or shares. Some thought that was going to be the case, especially with Google +1s but the signals from Google have all gotten a lot more subdued. Yes, your Facebook or Google+ business Page could potentially outrank your business website, but that’s because of the ranking of Facebook and Google+. And probably because your own site is ranked lower, not because of what fans and friends are doing on your profile page. Your social media pages are more relevant than ever before in the past, but not because they are going to bump up the rank of your website. Your social media pages get indexed and crawled exactly like your website and therefore the content on them is likely to pop into the eyes of the web visitors you seek. But be smart about it and learn about the relevant kinds of social media content your visitors are likely to like. Link building schemes have been around almost as long as SEO. Most of them have bitten the dust as Google has gotten a lot wiser to how they work. Paying for cheap links is still one of the best ways to get your site bumped down (penalized) to the extent that no one will ever find your site. On the other hand, creating and distributing your own content is more important than ever and though the catch-phrase “earning links” is a little silly, you can see the evolution away from the old idea of simply “building links.” Anyone who’s spent a little time in an SEO shop remembers the old process of just filling in forms that would post your URL all over the back alleys of the internet. Those methods are not only bad now, they’ll hurt your overall SEO project. On the other hand, creating and distributing creative content, about your business, your neighborhood and about your customers will really earn you the links that your website deserves. Combine it with good, smart events and the news they generate and your ranking is going up. There was a moment when Google seemed to be signaling that soon everyone would be speaking search terms into their mobile devices. Lots of article marketing hay was made from changing search terms to designate these new “semantic” search terms. In part this was in the aftermath of the “Hummingbird” Google algorithm update, and the result, more than a year later is that Google can better more natural sounding search queries. Long-tail keywords have been around since before Hummingbird, but since then they’ve only become more important. Some of the sites we’re presently working with benefit from the very specific phrases likely to be used for search. So customers might search for the specific product, rather than the store likely to sell the product. Similarly latent semantic indexing (LSI) keywords are increasingly important. So you’re not just optimizing for “plumber” and “plumbing” but for “plumbers”, “pipeworkers” and “drain specialists” along with the dozens of other synonyms that give the search engine enough information to understand the service you’re really offering. With exactly that same intent, we’re also working increasingly with “schema markup”, again to better tell the search engines what the information on your site represents. Schema markup, while it can be a little complicated, will let the search engine know that the plumber may be on Apple Road, but they don’t sell apples, fruit or computers. The same markup will also let an increasing number of businesses show far more detailed results on search results pages. That’s only going to get more important as the internet evolves. Mobile search is undoubtedly already affecting your visitors’ experience of your website. Whether it’s for good or bad, it’s not something that can be ignored. If your site isn’t already optimized for Mobile search, you could begin facing penalties. Or more likely, you’ll see your mobile friendly competitors ranking much higher. This is not going to change anytime soon. Citations are simply when any other website mentions your business. They’re going to be increasingly important as Google’s war against cheap links and “link-farming” carries on, (also called brand mentions or implied links) are an important authority factor. Beyond business and industries, there are number of strategies we pursue to get business websites listed with local and niche directories, and other similarly important sites across the internet, and through local and national media, be it industry specific or not. 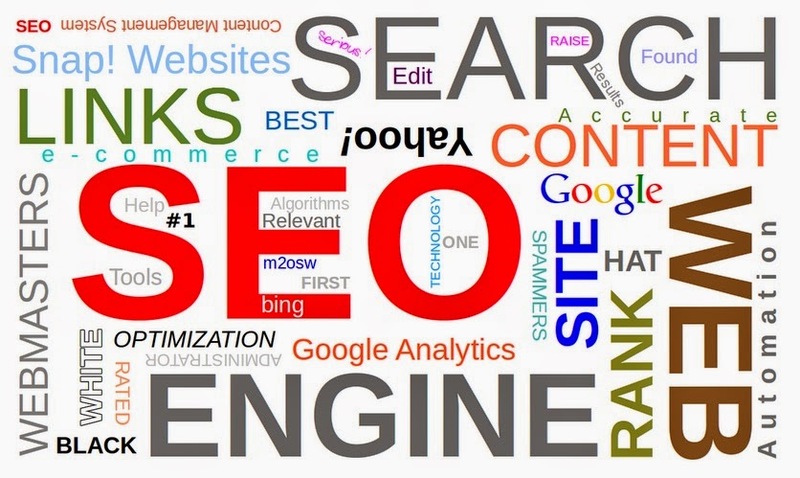 In any event, SEO has not gone away. It’s a little more labor intensive. It’s also more an ongoing project than ever before. For that, Nett Solutions is digging in its heels and we’ll be happy to have you along for the ride. This article was written by james t. James is a New Jersey native but currently lives in Mexico City because it’s a tad bit cold in New Jersey at the moment. Still, he is looking forward to the 2014 Super Bowl being held in his freezing home state.